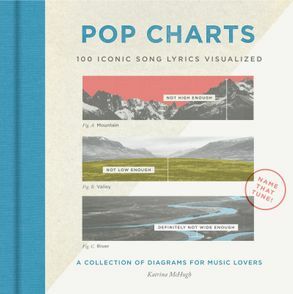 Test your musical knowledge with this fun compilation, filled with 100 beautifully designed infographics, that pays homage to the songs we can't get out of our heads-inspired by lyrics from artists such as Madonna, Fleetwood Mac, Paul Simon, TLC, Bob Dylan, Weezer, and more. Challenge friends and family to "name that tune" with this entertaining collection of references to pop lyrics. 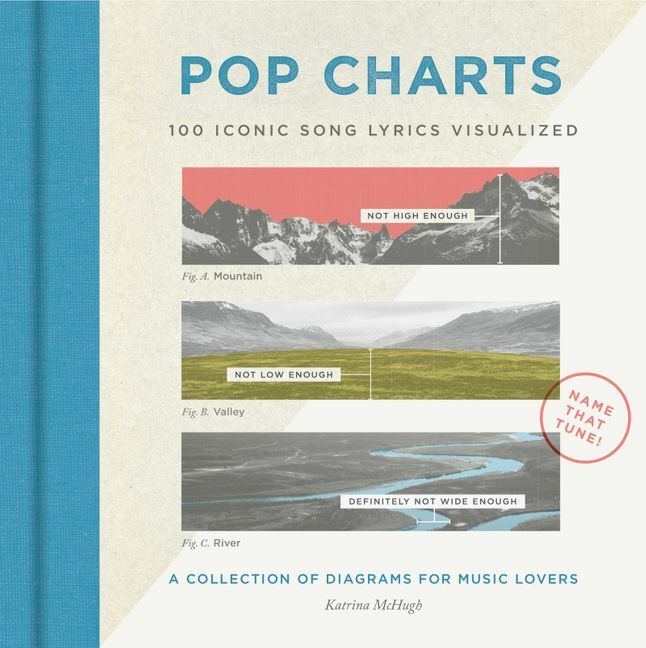 Featuring a minimalist and artful design, Pop Charts reinterprets lines from songs that have become part of the zeitgeist. Classics, earworms, and cult hits are reimagined with cool, playful infographic designs-from David Bowie's Space Oddity to the Beastie Boys' Sabotage and Beyoncé's Run the World.